You need to load your removal van properly with heavy furniture. This is very important for the safety of your stuff as well as to ensure that you are able to unpack properly when you reach your destination. Just keep certain things in mind while moving house and everything will become alright. You need to plan well. Know how much stuff you have and then plan to get a removal van accordingly. Keep in mind the amount of space you have in front of your to park and load it. Though it is advisable to get a van that is slightly bigger than your requirements, you may even opt for a smaller van and make multiple trips if that suits you better. Make sure that you keep certain things handy when you have to pack heavy furniture. This will include flat ties, soft ropes, old army blankets along with some flattened out boxes. Basically you need to ensure that all is secured well and does not move during packing. In order to do so, you have to fill in the gaps by stuffing in something. You need to load your heavy furniture in the bottom layer. Keep it at the back of the removal van. You need to load your sofa first. Wrap it up in old blankets. This would include the cushions too. This means that you do not have to remove anything. Just wrap everything up in blankets and load it on the van. Now place it in such a way that the back of sofa faces the front of your fan. Since you have a soft base of the sofa with you, you can place all your delicate electronic equipment on it. This would include TV, stereo system and so on. You can place the chairs upside down on the sofa. Make sure that you tie these well with soft ropes. Now you must ensure that this furniture does not move. In order to do so you must fill in the gaps with various stuff such as pillows, soft toys, bedding, loose clothes and so on. The beds and wardrobes must be packed along the sides. This will allow them to be tied properly with ropes along the wall bars of the removal van. Dismantle your beds before loading them. This means removing all headers, footers, side tables, mirrors and so on. Now hang a blanket on the side rail and let a major portion be on the floor. Put a mattress against it to keep it in place. Now place the bed on this blanket with the mattress saving it from the sides of the removal van. You can pack the beds one over the other in order to save space. Just make sure that you tie them well in the end so that they do not move while in transit. Wardrobes and other furniture can go opposite the beds. Tie cardboard pieces to protect the polish. Just use these simple tips and your heavy furniture will get delivered properly without any damage and have a happy end. Hire a removal companies if you are moving to another place. these companies are very expensive when compared to hiring a Local man and van. Below find reasons why Hire a Local man and van is much cheaper. 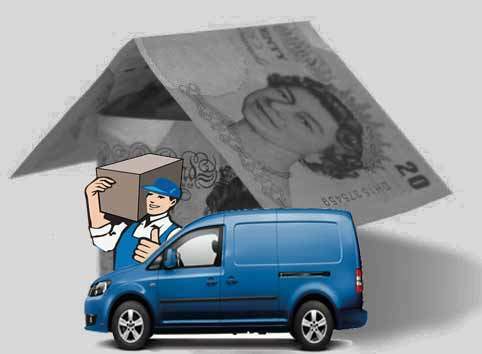 Some of the removal companies include some hidden costs in the final invoice after they have offered you the service. Like many innocent clients, you may not be aware of such hidden costs, especially if you are hiring them for the first time. Some of the hidden charges include VAT and fuel charge among other s.
Most of the local man and van services companies offer free services such as assembling and disassembling your items. This service is usually free. Other companies will provide you with a free seat to your destination. This means that you do not need to hire a cab on your way to the new location. Small vans Unlike the big removal companies who operate huge tracks to transport your goods. 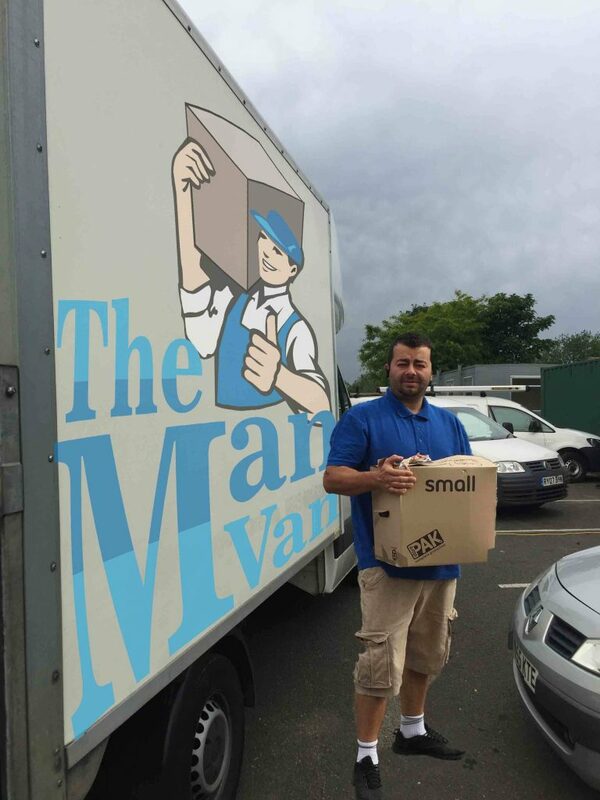 Most of the local man and van have smaller vans which is fit all your goods. This simply means that they incur less cost in terms of fuel usage and insurance premiums. For this reason, the local man and van service companies will be cheaper. In an effort to maintain existing clients and attract new ones, most of the local man and van service companies provide excellent services. Since they do not enjoy the same reputation as the big companies, they tend to go an extra mile and offer excellent services. They do this to improve their reputation as well as attract new customers via referrals. Most of the reputable removal companies will charge you extra money for services offered during the odd hours especially at night, over the weekends and during public holiday. This is not the case with the local man and a van. The charges are way much cheaper when compared to what you will be charged by the reputable companies. It is recommend that you should hire the services of a local man and a van especially if you are moving a bunch of small items such as office furniture. This is simply because the big companies will charge you more money for the same. They offer the same quality of services as huge removal companies and will charge you cheaper prices. This is simply because they want to win the hearts of many clients. Unlike huge removal companies who enjoy a list of many existing customers. You Must Moving to South East London before 2016. You Must Moving to South East London before 2016 if you really Love London area. Definitely theres no better place to visit and even live in than Southeast London. 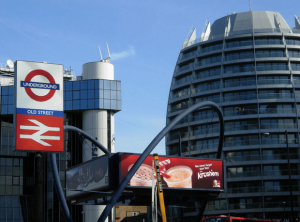 With all the growing businesses and transportation links in Southeast London, a lot of people from all over the world including bankers, professionals, artists and other businessmen are starting to buy properties and settle somewhere across the Southeast London area. Not only is the place great for its good-priced accommodation but it is also starting to gain popularity for being the site for many awesome London films. If you are planning to move and live in the area, hiring a good House Removal in South east London is a huge advantage but be careful with the some removal scam, please if you follow this simple step you’ll have a great experience with any removal man and van that you’ll hire to help you with all your removals needs. 1. Do not pay any Deposit, all your belongs will be on they truck, if they ask you for a deposit avoid it, please as i told you, all you household is on they truck, why they ask for a deposit ? 2. Do not hire any one that only provide you a mobile number it can be a disaster they have one number today maybe tomorrow don’t have the same number! 3. Check the Companies address they must have one, check on google its good to know who you are deal with and where you can fide the company if need to. Moving companies locally operating within the area of your choice in Southeast London are always to best ones to deal with when in need of moving services. Not only are the locals knowledgeable about the directions and locations but they can also help you settle in more comfortably. Locals can also give you tips and essential information about the Southeast London area of your choice to help you adapt faster with the community and the people. Don’t rely on your own when looking for a moving company in Southeast London. Seek out recommendations from friends and loved ones in order to find the best. Obtain a list of recommended companies to have higher chances of finding a good one and avoid any scam. After having a good number of recommended moving companies in Southeast London, doing some investigations about the company, its certifications and insurance, the services they offer and the quality of service they provide is the next thing to do. Most moving companies have their own websites and by visiting these sites, you can learn a lot about the companies never picked the one that only provide you a mobile number it is the first thing you must look at to avoid any removal scam. Most moving companies offer free estimates to clients and if you want to look for the best one, availing of these estimates is a good choice. Always remember to let them know all the important details to determine the correct price range. There can be abrupt changes in prices on the moving day if the estimator finds your things much more than you have originally shown. Once you have the details about the most recommended moving companies in Southeast London and the price estimates, you are now ready to choose a moving company. Always consider your budget when making a choice to avoid over spending. Your house on the move with a large Luton van . Relocating to a new place? Well you must be very excited and curious then. But naturally, you must also be overwhelmed by all the preparations and details required to make the process go as smoothly as possible. From packing your socks to moving your furniture, the task of ensuring that all your belongings are safely transferred to your new location is both exhausting and draining.Specially when it comes to moving your furniture with a van, it can be challenging to find the right van and crew to entrust your assets with.Do I need a large van when I am moving to my new house? That is the first question that pops into your mind. Of course with all that huge stuff of which some are breakable and fragile, you feel like you need to have them transferred with the largest and most spacious van possible. Well generally, it depends on the amount and size of the furniture and belongings you are moving. But usually people fail to accurately estimate what size they actually need and tend to choose one that is bigger than required.As an average option, having 2 men with van should be able to cover and facilitate your moving process. A Luton van is a type of van that has a huge box attached to the main cab. It has acquired its name after the famous Luton town in Bedfordshire as that is where the factory that manufactures them was located. This type of van is used in many commercial processes such as trading and commercial activities as Removal services, but most importantly there is a line that is designed for households and transferring furniture etc. The vehicle is designed and prepared for the transfer process by its strong and solid body that should protect the stuff inside. Some major transportation companies have a line of production for Luton vans. These include Ford, Mercedes and Citroen as examples. Luton vans are usually rented for the task through vehicle rental companies which offer several packages and options to choose from. They also have the necessary service to advise you on which size would suit your requirements best. Recently, some Luton vans come with new features that supposedly facilitate the whole job, such as having a curved front to decrease wind resistance. Other features include having the sides covered by Gel Coated Ply Wood which ensures that the inner atmosphere is dry and helps preserve the state of the contents. A lot of people around the world dread moving from place to place, this could be due to the amount of work and stress involved but more due to the extra expenses it brings. Newsflash! Moving doesn’t have to cost you a thing. Well, there are plenty of ways to save during a move, plenty! They work together to eventually save you some money during your long awaited, big move. Using used boxes and try to get a local man and van. The average person moving spends over £50 on moving boxes from their local general store (what!?). Yeah, I know right. Many common grocery stores will happily give you their used boxes for free, in fact, some are actually looking to get rid of some just lying around so take advantage of this! If you insist on buying new boxes to avoid some hassle of asking around, the cheapest places to purchase sturdy moving boxes are Craigslist, Ebay, Amazon (sometimes they’re free of charge), Lowe’s and Sam’s Club. And/or you could use linen or old t-shirts you have stored away somewhere as cushioning inside your boxes instead of the pricey packing peanuts and bubble wrap which could add up to over £25. Cushion from an old pillow or pillows could also be used, as well as newspaper that you’ve already read and isn’t very useful anymore. This is also another cheap moving option as they won’t expect money in return and you could make it a fun bonding event. They will, along with your help of course, get a lot more done than you could and in less time which overall makes for a less stressful moving experience. Win/win situation. As you are going to need to label each box with the name of the items inside, you’d think you need these heavy duty markers that cost £2 a pop, right? You don’t. If you have children, their crayons and colorful markers that they started ignoring months ago will do just fine. Dark pens and pencils also do the same job and just as efficiently. I’ve heard of some women using their old and neglected eyeliners. Give it a try! Pack only what you need. Instead of packing, requiring more boxes for things that you don’t use and know for sure you wont have any use for after the move, have a garage sale or sell them at a bazaar. This way you save money on packing supplies and gain some extra cash. Choose your removal company wisely, check prices, available discounts, pricing packages, coupons, everything. Moving by man with van is usually of the cheapest methods but can entail other risks so do your research, call for free quotes, etc. Graduation from University, Where to move to now. Graduation from University, Where to move to now ? In the following days a student after graduating from university, a new graduate has to think about where they go from here. There are so many places to live in the United Kingdom, so many historical places, but only one London. Assuming out character, Johnny, has just decided to move to London. What student moving services are available to make that happen? As soon as the Google search engine go done, it is easy to see there are more than a dozen or so options for him to choose “The man van” some offer free quotes and states that “On average, our customers save 75%,” not a bad notion. A good place to start, so Johnny moving from CB2 1TN, to NW11, Brent Cross. He did not have much, just a desk, dresser, and stereo system and got our base price. This is not the only company, and a savvy shopper doesn’t just buy the first thing they see. Send-my-bag has a very high customer review rating of 4.8/5 stars, and the company has accumulated over 1,500 reviews. Logically one must investigate. They give a nice diagram of the process of moving, assumedly for those needing help figuring out what the steps are to moving out and a reminder for the rest of us. Starts with a quote, then if happy a customer can book online, and then bags must be set and prepared for the movers to collect the baggage. A fond reminiscent moment floats up as he remembers a friend talking about using this service. 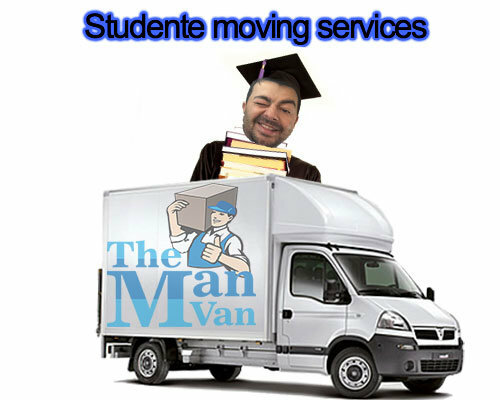 Johnny continues his search, looking at ” The man van Student Storage box, offering student moving services, storage, and free “UK Move.” Sounds perfect, he needs to clean out the purchased pad before moving his stuff in there, plus he wanted to visit the folks before making the move. It was just getting into December; it’d be nice to stay for the holidays. He decides to put his desk, dresser, and stereo into storage until he moves to London in January. The job did ask for a start date; he had yet to give. He ordered his luggage to be sent to his mum and dad’s place in Colchester, and it was a beautiful place in the winter time. It was rather simple to pack everything up; he scheduled the pickup for the 15th, the day his lease was up in Cambridge. Day off he caught the National Express East Anglia train, along the way he reflected on his four years at University and all the memories he made outside of the classroom as well as the information within. Two hours later, gripping his graduation cap, Johnny knocked on his folks door, bags arriving tomorrow. van moving service, its really cheap or not ? 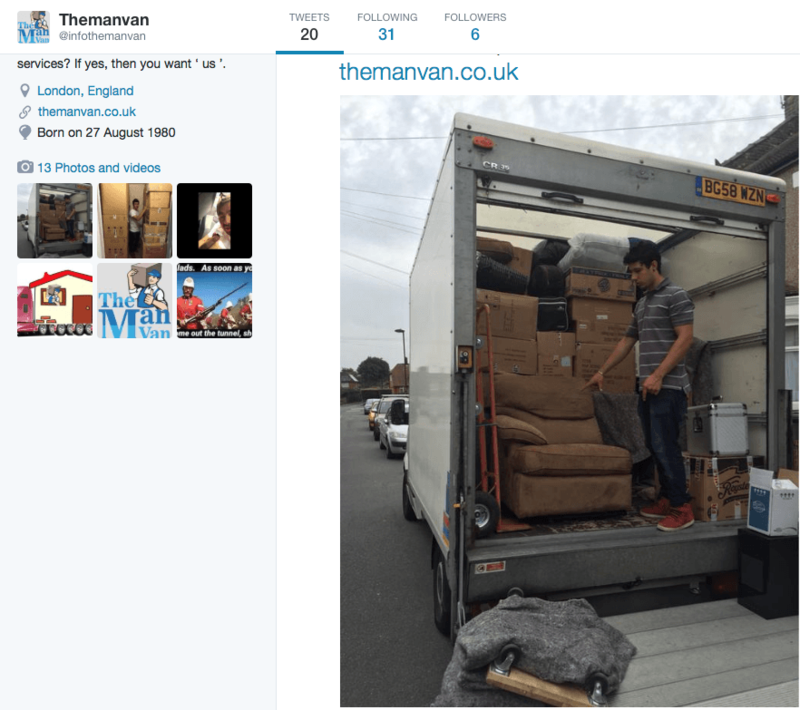 Moving Home Using a Van its the best way for Removal your house or office but its really cheap or not ? Moving home is a tiring process to say the least. It also incurs the usage of finances and requires trained manpower. Removal using a van is effective in both ways. The typical removal companies quote high for their services and it is not viable for all people. Even when the customer needs just a two hour removal, they charge for a complete day job. 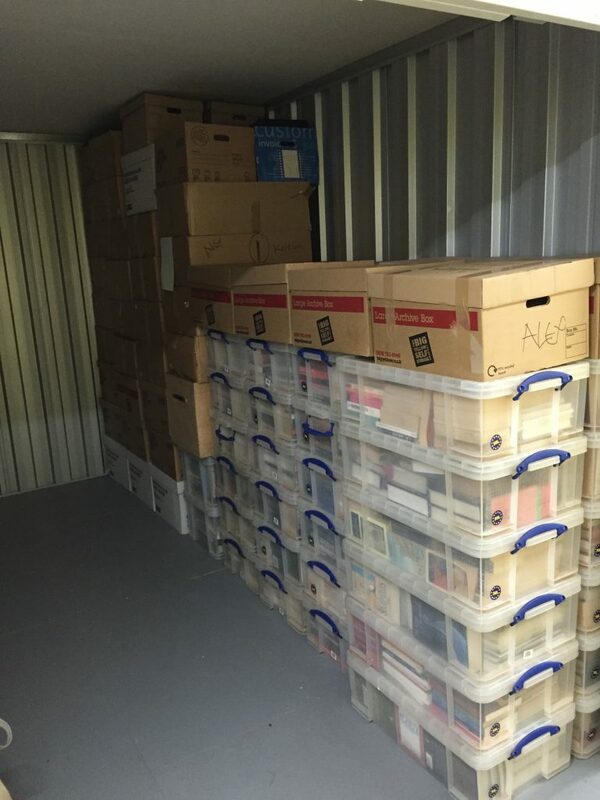 This adds up to the removal expenditure and the customer may feel financial burden. These hassles are put to an end by the van removal services. Apart from the cost, the customer gets the assistance from trained hands and this can make the removal process safe. Packing, loading, transporting, unloading and unpacking need extra attention, and the customer is assisted by professionals in this regard. The immense benefits of moving home using a van have prompted many people to take this decision. The satisfied customers usually highlight the following benefits for making it easy for the prospective clients. Moving home attracts low fare when you use van service. The competitive pricing of these services can prove beneficial to the customer. There is no need of spending huge amount of money for professional services. You can get equally trained hands for lesser bucks by local van removal service. Another highlight point is this service is available for short term hire. You need to spend only on the hours spent, not for the whole day unnecessarily. Other moving services may demand you to pay for the entire working hours in a day, even when you have a small moving job. In this scenario, van removal service for moving home is the best bet. When you hire a van moving service, you can get the assistance of skilled personnel in moving home. The experienced hands can help you in safe loading, transportation and unloading the furniture. The van should be traversed with great care when it is fully loaded. An experienced driver can drive the vehicle safely in any condition and it is very important in house removal process. The van for moving home service is useful for the people with no knowledge about the locality of the new house. This can pose a few problems while reaching the destination. The van service drivers are usually knowledgeable about the local areas and they can transport the furniture without any ado. But, you have to inquire the driver whether he has knowledge about the locality prior to hiring. Some van removal companies provide insurance for big goods. This can provide financial coverage during any unforeseen mishaps. You can hire the van service customized to your specific requirements. There are additional charges for the added services, but they are affordable for sure. By this way, you can have moving home services tailored specifically to your needs. Moving home using a van is the best solution for the people looking for professional removal services for affordable rates. You can hire one today for availing the best removal services available in the market. Did I Choosing the Right moving Company ? Choosing the Right moving Company can really matter ! Are you looking for a moving company? 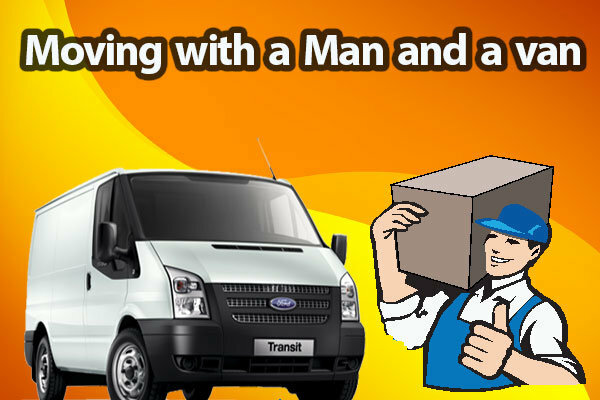 If you are looking for a moving company you should check out man with a van that is a lot cheaper. They will satisfy all of you moving needs. Before you hire any mover it is important that you do your homework. You don’t want to end up with a bad mover that holds your stuff hostage, or breaks you things when they are moving them. If you don’t have a mover yet you can get referrals for a mover from a real estate agent. They can give you a list of reputable movers in your area. 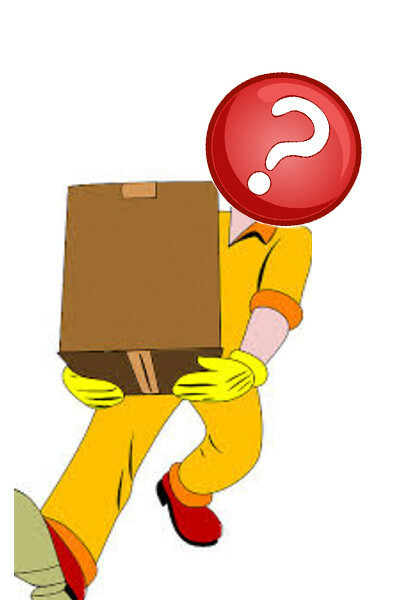 You will want to have at least three movers to chose from so you can pick the best of the three. You will want to setup a time for each moving company to come to your house to give you an estimate on how much it will cost to do your move. If they won’t come to your house to do an in home estimate cross them off the list and move on to the next company on the list. Have each moving company give you an estimate based on your home and the belongings in it. Ask them questions about them questions about their pricing and how much they charge. Find out if they have insurance. If they do not have insurance you won’t want to hire them. Insurance is what protects your belongings while it is in their care. If something gets broken and they don’t have insurance it will be hard to get it replaced. You should also find out how long the moving company has been in business. You want a moving company with experience. If they have experience they will know how to handle your belongings and move them without a problem. If they don’t have experience they may end up breaking your belongings and no one wants to be left with damaged stuff. Another good way to make sure you have a reputable moving company is to ask for references. If a moving company can give you at least three references that will vouch for their services you know they are good. You can check the references and ask them questions about their move and their experience with the moving company. Are they licensed in the state they work out of. Do they have a license number they can provide you. If they are not licensed in the state you live in that is a red flag and you should avoid hiring them to do your move. Moving in to a new office space in old Street EC1Y, using a man with a van is really a smart option. Moving in to a new office space is a task that involves a great responsibility because of the many details that must be solved. Besides the stress factors caused by moving into another office space, the people who are charged with organizing the relocation have other stress factors accumulating because they are the ones who are taking care of the entire process of moving the company. There are many administrative issues to be resolved such as informing customers, suppliers, change office in the memorandum etc. Hopefully this article will help you to organize your company’s plan to move. It is best to start the moving plan for the company a few weeks earlier to not skip any detail and to avoid being pressed by time. You have to prepare a draft that includes tasks for the move for the involved staff. All departments need to know in advance what to do. It is best that everyone pack their items from the desk. Thus, there is a risk that some objects will be lost and it will be very easy to unpack later. The labeling is very important in the case of moving a company. The office, chair, roll-box and the box of things of every employee should be labeled with the name of which they belong. In the firm’s moving day all things will be placed in position and things will not be scrambled. Start packing with the common things in the kitchen or in hallways and leave for the last day of packaging boxes for documents and personal effects of each office. Moving in to a new office space is a good opportunity to consider the replacement of certain objects. You will have the time to think if you need new computers or furniture and you will have time to organize and buy new items that you need. 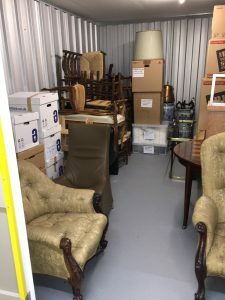 On the moving day you can discard the old furniture and the new furniture can be taken a few days before moving to the new location in old Strees in London, EC1Y. Also, take into consideration the telephone services, internet, courier, stationery etc. Now is the right time to give up certain services that are not satisfying. Moving the office is a good opportunity to create a new atmosphere of working through redevelopment. If you know the dimensions of the new space where you will move in, you can prepare a plan to move the departments. The cost of moving a company varies depending on the services you want the cheap one definitely is a man and a van service as they use to be a individual person that have experience in removal. Each relocation is different, there are firms who want rearranging offices in the same space, relocation of offices for opening a new department, ridding an entire floor or move the entire office. The best thing you can do is to contact companies that offer quality service relocation and request their prices. Moving furniture is a hard task to do, which involves risks for your health, home, for other objects of furniture or for other people. You have to know how to do such an operation for you to go through it in safety. With no experience, you need a few tips that can help you move the furniture on your own in a safe way. Buy the necessary packaging and related tools, without which you are helpless. You need furniture dollies and straps, for the furniture to be cached on the trolley. You can also use sliders, with which you can easily push furniture. You will also need a packing tape and paper to pack the smaller things. Whether it is a dresser, a closet or something else, it will be much easier to carry heavy furniture object if it’s empty, so take time to empty it before. In addition, if it’s something inside it could fall in the time of the transportation and can easily destroy or damage the furniture. If you have an empty floor, you can protect the furniture’s legs with a towel and the gently slide the item to the exit. Do not lift heavy objects, slide them slowly. You’ll save effort and energy. If you start to lift heavy objects, you will expose your health, home and yourself to risks, especially if you do not use proper technique. If you, however, decide to lift something heavy, divide your weight on your arms, legs and shoulders. Try to keep the object in a position as straight as possible. Keep in mind the difficulties that you have to carry and find someone to help you. It’s better to be one person every 40 kilograms plus another person to intervene if someone tends to lean hard object or slips or other similar incident occurs. Provide the proper equipment that helps like gloves and belts. Gloves protect hands in contact with sharp edges and prevent slipping. The seat will protect the back of the column. If you don’t want to do this work alone or with your friends just hire a professional team as man and a van in London and then things will become much simpler. Inform yourself about the prices to get an idea of the budget that you will have to submit for this action. Compare prices from several companies and choose one of them. The workers know exactly what equipment to bring, so tell them exactly what you will be moving. They can bring items for packaging, vans and obviously people to carry things. Try to optimize routes and time spent, especially if you pay on time. For example if you have to move from London to Glasgow you will need some time to check out the shortest route. A functional elevator will save you so much time. Make sure the company’s van will have access to your building. Make sure that the furniture that needs to be moved goes through the door. If not and if the door cannot be removed, the workers can bring the necessary machineries to move the furniture through the windows. Just tell them as much information as possible. So, even if you want to be the “man of the house” and carry the furniture by yourself or you want to hire a professional man and a van to do your moving, just be sure that you and your family is safe along the moving process.